Writing fiction is problematic. Most people who decide to write a novel have already been writing most of their lives. Some have had success in school. Others have developed their writing skills through blogging or in some other Internet capacity. None of that is fiction, however. Fiction is a different animal. Don’t get me wrong. It’s great to have the skills that non-fiction requires. But the grammar, the structure of an article, even of a non-fiction book, is not the same for fiction. Many who decide to write a novel have been life-long readers. And that’s great. Steeping ourselves in good books is one way we can develop our own writing skills—much as we did our speaking ability. We heard others talk and we imitated them. But let’s face if. If we were still speaking as we did when we were children, we would only talk in simple sentences and our vocabulary would be quite limited. In other words, imitation can take you only so far. If we are serious about writing a novel—a good novel that will draw readers—we need to do the hard work of learning fiction technique. We need to read writing instruction books. We need to attend writing conferences—and not just for the relationships we can build. We need to allow others to critique our work, and we need to revise, revise, revise. Writing fiction isn’t for the faint of heart. Too many people think they are ready to publish when they haven’t taken the time to learn as they should. They have an idea for a story but they haven’t taken time to study story structure. They pepper their manuscript with cardboard characters. They don’t hook the reader with their opening, and they wonder why their manuscript isn’t picked up by an agent or why their self-published book isn’t more successful. I was just such a person when I first started writing fiction. Now I know, all these years later, after reading and studying, writing books and teaching on the subject, after editing numerous manuscripts and participating in various critique groups, that nothing replaces taking time to learn fiction technique. There are various was to go about studying fiction. One is to do the hard work of tearing novels apart yourself to see how they are structured, what makes the characters interesting, and so forth. That’s particularly hard because fiction, while different, is still a living, breathing animal. One novel of quality is quite different from another. In addition, writing fiction goes through fads and trends. So you might study your three favorite novels and discover that they are very different from the novels that sell well today. Another way to study fiction is to subscribe to a magazine like Writers Digest to read articles about fiction and fiction techniques, written by industry professionals that are currently involved in the business. A third way is to subscribe to writing blogs like this one and others written by agents or editors who willingly share their knowledge. Still another way to learn fiction technique is through how-to books. Many I would suggest are listen on the Resources page here. A fifth way to develop skill writing fiction is to attend writers’ conferences. A new one which is coming up in June is the SoCal Christian Writers Conference. An old one that will take place on the West Coast in the fall is the Writers’ Digest Novel Writing Conference. Whatever method or methods work for you, employ them often. Writing fiction is a different animal from writing non-fiction, and the best way to develop the techniques that will help you is to be willing to learn, learn, learn. Keep an open mind—the professionals might actually know something. Your critique partners or agent or the editor you hire might actually understand the way fiction works better than you do. But you’ll never know if you assume you’re already at the top of your game and nobody can teach you anything. That would be unfortunate. I had the privilege of teaching a workshop last week in the Oregon Christian Writers’ Conference held at the Red Lion Inn in Portland. I hadn’t attended a writers’ conference in a number of years, so it was a delight to be back with familiar faces and people of like interests. Mostly, though, I was reminded of how valuable writers’ conferences are. First, I was inspired—to write well and to write for a greater purpose. OCW had two keynote speakers—one a pastor known for his nonfiction and the other a sought-after speaker and fiction writer (pictured here). In the extended learning classes held each morning, I also received excellent instruction. Some classes dealt with marketing and promotion, others about writing certain kinds of nonfiction, and others about the craft of fiction writing, from novels to screenplays. 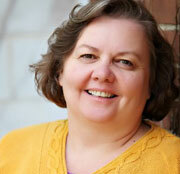 I chose a class about novel writing, taught by agent Sally Apokedak. Though directed at children’s book writers, the information was relevant to all levels of fiction. The afternoons offered a variety of one-hour workshops (such as “Blogging And Blog Tours—The Whys and Wherefores,” which is the class I taught). Again, there was something for everyone during these afternoon sessions which included such topics as self-editing, essentials for a nonfiction book, voice, marketing, story beginnings and endings, synopsis writing, and more. Third, I had a chance to attend both an editors’ and an agents’ panel during which these professionals answered questions from the audience. These panels offer a window into the business side of the publishing industry, and I never tire of hearing from those on the other side of writing talk about their work, their expectations, their advice for those of us who have not broken into publishing. Another important part of writing conferences is practical, hands-on learning. OCW offered a pitch session, in which writers could learn how to write a brief pitch they might wish to use when they met with agents and editors, or to hone the one they already had. The second night I led a critique clinic which allowed writers to break into small groups, and with the guidance of a more experienced writer, offer each other critiques of the first three pages of their work in progress. At the same time there was a poetry class and one on web design. All this learning and inspiration is important, but another vital aspect of writers’ conferences is the opportunity to schedule an appointment with editors or agents. In some cases a writer can also request a pre-conference critique from the professional of their choice (some conferences offer this service as part of the conference package and others make paid critiques available), meaning that the professional with whom the conferee meets may have already read a sample of his writing before their meeting. In other words, the agents or editors likely have an idea about how the conferee writes, if they’re interested in seeing more, and what she might need to do next. OCW provides something I hadn’t encountered before—mentoring sessions. These are thirty-minute meetings with available staff—usually more experienced writers who can field questions, give encouragement, and offer advice to those who aren’t sure what direction they should take next. With so many changes in the publishing industry in the last five to ten years, this kind of help is so valuable. Writers’ conferences offer one additional help—time to meet, talk, and connect informally with other writers. There’s something encouraging and challenging in getting together—beginners with multi-published authors and mid-list or self-published writers. Conferences seem to point to our commonalities, but beginners can be spurred on to greater heights by seeing successful writers who were once like they. And published authors can remember how they started, the work it took, and the drive, determination, and enthusiasm they had to keep going. They can give of their time to help others as a way of paying back those who helped them. Certainly writers’ conferences aren’t essential. As technology improves, and instructional sites such as Udemy and WOW (Women On Writing) proliferate, writers can receive instruction in the comfort of home, saving travel and lodging expenses. These classes can even bring writers into contact with an agent or an experienced writer or a freelance editor. In addition there are Facebook groups and Goodreads groups where writers can congregate online with other writers. There are hundreds of writing conferences. Wikipedia has compiled a partial list, but a Google search will uncover many more. The key is to refine the search based on genre and location. Some of the more well known conferences include Writer’s Digest (East and West), SCBWI (LA and New York, as well as smaller local gatherings), and RWA. 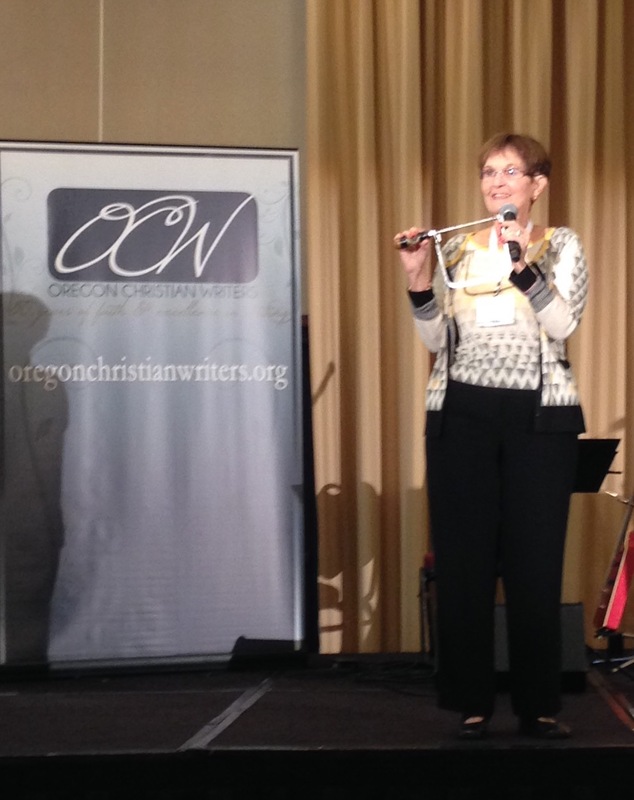 Christian writers’ conferences include Mount Hermon, Colorado Christian Writers, Oregon Christian Writers, American Christian Fiction Writers (ACFW), and Blue Ridge. Conferences may not be essential, but they are valuable. My recommendation is to plan ahead—pick a conference that seems to be a good fit and start now saving for 2016. Writing conferences offer the aspiring or published writer a wealth of needed input, from writing craft instruction, marketing tidbits, and manuscript critiques, to editor and/or agent contacts. Unfortunately, for a variety of reasons, some writers may not be able to attend a conference. Whether the obstacle is money, time, or location, a good alternative to consider is online instruction. In the last decade, as you might expect, online writing courses have proliferated. Now someone looking for beginning how-to information to advanced hands-on help can find reputable instruction. For some, the best place to look is at writing courses offered by universities. You can find individual classes or degree programs, depending on what you’re interested in. Notable universities offering writing programs include UCLA, Purdue, University of Washington, Harvard, Stanford, New York University, and the University of Phoenix. Notable is the University of Michigan because they include classes that are free. But they’re not alone. Diploma Guide has a wonderful listing of free writing courses, and an equally impressive list of links to schools offering degree programs in writing. For those looking for a less academic approach, with interaction with an agent or editor or experience writer, there are any number of other options, depending on how much money you are willing to pay. Classes run from those in the free range on up to $500. Length of courses vary as well. Some are short workshops, others two week classes, a month, or longer. Another consideration when looking at online classes is the feedback a student might expect, whether critiques by other students or by the instructor. Writing, after all, depends on the response from those reading the work. Many writers have no opportunity for feedback from writing professionals. Some may wish to find online classes emphasizing their small size which enable students to have more interact with the instructor. Someone ready to look for an agent may wish to look specifically for a course taught by an industry insider. Below is a list of online classes I either am familiar with or have discovered in doing research for this article. I wish I could offer a first hand endorsement, but since I haven’t taken any online classes, I’ll have to present this list and let you decide which you think might bear consideration. WOW (Women On Writing). Classes are offered every month. “WOW! 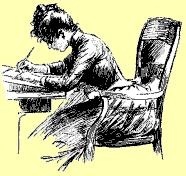 handpicks qualified instructors and targeted classes that women writers will benefit from. The instructors are women we’ve worked with on a professional level, and these ladies offer high quality courses on various topics.” (Never fear, not all the courses listed are gender specific). There are any number of other writing courses, some offered to members of writer organizations, others provided by individual instructors. This list will hopefully provide hope to those looking for instruction but unable to attend a conference. Online help is available, and there’s a good chance you can find something at your level of expertise, in your area of writing, and at a price that meets your budget.